This is a book about everything. 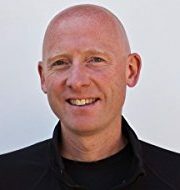 Peter Morville is a pioneer in the fields of information architecture and in this book he connects the dots between authority, Buddhism, classification, the Internet, culture, quantum entanglement and running a marathon. His book Intertwingled: Information Changes Everything explores how everything is interconnected. In a splendid and simple way, he unfolds the relationship between man, nature and self. "The story of man versus nature makes no sense. The relationship is hierarchical. Man is part of nature, and so is all that we build. No system is closed." It all seems so paradoxical, we think in categories, define things into this and that. Language is a deep part of how we see and interact with the world. We draw edges that don’t exist. Our models are all that we know. Counterintuitive and disturbing as it may seem, especially for our Western thinking minds, there is no static self to be found; it is all process. We find thoughts but no thinker. We build stuff, but there is no builder. Categories and classification are the cornerstones of our cognition and culture. We tend to see ourselves as separate entities and individual objects, but we forget that we are always part of an environment and deeply connected with it. Morville talks in his book about nature, categories, connections, culture, and limits. He takes us on a journey in the digital world of information systems. Yet all of those concepts apply to our daily lives as well. The universe is one big, complex system. With great effort, we try to make things hierarchical, categorizable, and sequential when they can’t. Everything is deeply intertwingled and we must learn to embrace the discomfort of not knowing completely. In a humble way and with an extraordinary insight Morville opens the door to collaboration. He invites us to ask questions and seek answers together. "Our biology, culture, education and language all conspire to convince use there is a single, right way to organize things. Blue and green are distinct colors. History and science and separate subjects. Europe is above Africa. Books belong in fiction or nonfiction. The tomato is a fruit. Now turn the last five periods into question marks, then consider the contrary." Words are the interface between our inner world and the outer world, not just on the Web, but in our minds. Donella Meadows even said: “Language as an articulation of reality is more primordial than strategy, structure or culture.” How we use word, defines how we see the world. While there are in fact no opposites in nature, we use dualism to create order and make sense of experience. But who decides about right or wrong? At what point does a rainbow turn from blue into green? Without words we cannot operate in daily life and they help us a lot. Although we tend to forget that every word has its baggage. When we choose a word, it’s packed with meaning, which often differs from person to person. Half of the time our words are ambiguous, our message gets distorted and we are misunderstood. Yet to collaborate, we must admit ambiguity and complexity, and avoid premature judgments. It’s an invitation to notice how our truth might not be the absolute truth, but rather a truth, a piece of the enormous puzzle of this universe. Be open and choose your words wisely. "...he rejected the rigid hierarchy of the cast system – the fourfold division of persons into brahmins, rules, and warriors, farmers and traders, and servants – and embraced universalism, believing enlightenment is open to all. Then he shaped several new taxonomies, including the three marks of existence, the four noble truths, the five hindrances, and the noble eightfold path. Of course, the deepest, most difficult ontology Buddha taught is anatta, non-self." Categories are the cornerstones of our thinking and culture. All systems affect each other where, and it becomes impossible to talk about an absolute entity without taking its context into consideration. Classification goes deep into our culture. It is what binds us and separates them. Our understanding of life and daily behavior are rooted in taxonomy. Consciously or unconsciously we construct a reference framework, an architecture of information on which our daily choices are based. The same goes for the view we have of this system we call our own; our body and mind. For example, embodied cognition is a framework that says that the nature of the mind is largely determined by the form of our body. How and what we think is shaped by the body’s system of perception, action, and emotion. In the same way as Buddha, in designing taxonomies and vocabularies, we serve as architects of understanding. With that, we give rise to understanding through the unity of body, mind, and environment. We are all architects, part of the whole in which we exist and that we are paradoxically shaping at the same time. Like in quantum mechanics where the experimenter is part of the experiment, we are intertwingled with nature. We did not come into this world; we came out of it. By challenging the classifications that are created through language and assumption, we can create opportunities for radical connections and expansive thinking. Reading Morville’s book is eye-opening. I must admit it’s not an easy book to read and it requires focus and attention. At some moments, with every page turned, new insights and aha moments were revealed to me, leaving me with a both a sense of wonder and humility. So easily we tend to think we know everything, yet we know so little. Information is the smallest building block of our universe. It has the capacity to change and transform. With this book, Morville has definitely transformed my experience. So what’s next? I don’t know either. We’re often better at implementation than imagination. This book reminds me that to be a human being is to inter-be. Everything is linked, we cannot isolate ourselves from the universe we live in. So when we want to change, it’s not only about ourselves, it’s about everything around us as well. Can you imagine?